Yao Noi’s luxury resorts including Six Senses offer cookery courses but a more low-key choice is Mina’s Cooking Classes. Browse places to stay in Ko Yao Noi on Booking.com. Book Now - Pay Only When You Stay. This friendly local chef teaches from her home using her own home-grown herbs and spices for the class. Each class, which up to four people can join, includes tips on how to make your own coconut milk in the traditional way and curry paste, plus five recipes. Learn to prepare spring rolls (poh pia), green curry, papaya salad (som tam), Massaman curry and other dishes plus some unusual drinks like banana juice or tamarind-honey juice. Mina has seven different three-hour courses on offer ranging in difficulty including a vegetarian class. 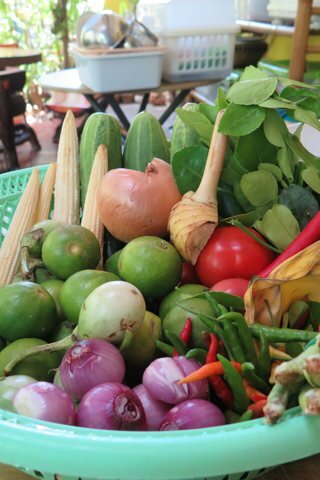 Lom’Lae resort also has a three-hour Thai cooking class where you’ll learn how to make five dishes and get tips on using Thai herbs and spices. Browse our independent reviews of places to stay in and around Ko Yao Noi. Read up on where to eat on Ko Yao Noi. Check out our listings of things to do in and around Ko Yao Noi. Read up on how to get to Ko Yao Noi, or book your transport online with 12Go Asia. Planning on riding a scooter in Ko Yao Noi? Please read this. See below for more sights and activities in Ko Yao Noi that are listed on Travelfish.org. Where are you planning on heading to after Ko Yao Noi? Here are some spots commonly visited from here, or click here to see a full destination list for Thailand.